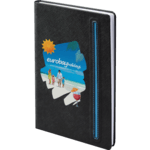 Promotional notebooks are very popular in our world. 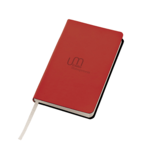 Nearly everyone we come into contact with uses some form of notebook. 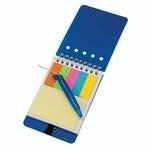 They are ideal at meetings for taking minutes, making lists of tasks and actions. 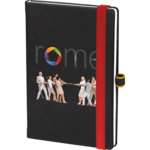 We also supply notebooks as general giveaways at conferences, exhibitions and trade shows. 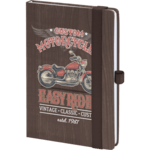 Our range of notebooks is quite extensive and includes different paper size, pen holders and even some novelty ideas. 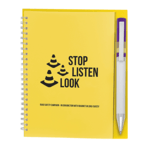 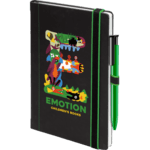 Please contact us if you cannot find the promotional notebook you are looking for. 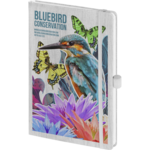 We have an extensive supply chain and can source virtually any type or quantity of notebook required including notebooks made from eco-friendly materials and offer an express delivery service on some of them. 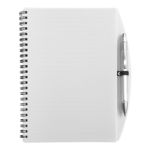 Hardback or spiral notebooks are great for writing down your client details to ensure you don’t miss a thing. 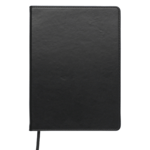 Notebooks are a necessity in most fields of work. 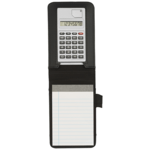 While a majority of work places now turn to computers for note taking, paper based products will never be wiped out. 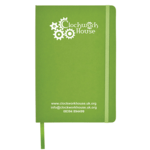 From needing to jot down that all important client details or meeting information a notebook is always at hand to serve for the times when you need it most. 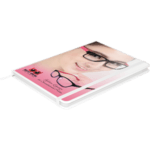 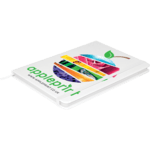 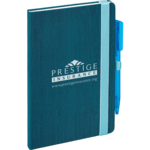 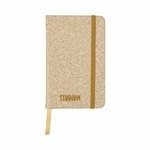 Promotional notebooks are not only important in the office or work place but also at home and in everyday life. 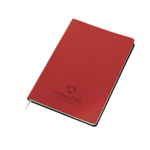 A handy small sized notebook is always beneficial in the handbag, or your back pocket or in the laptop carry all. 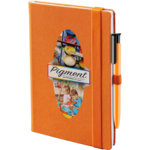 Wherever you go note taking is always advantageous, so ensure your name is at their fingertips. 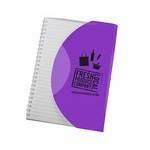 Where can you brand notebooks? 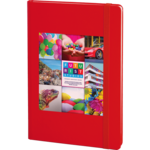 We typically put your imprint onto the outside front cover. 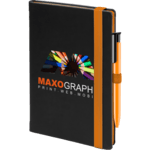 Other options can include rear cover, inside covers and onto each paper sheet in the notebook. 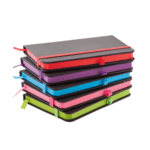 The options are product dependent. 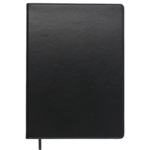 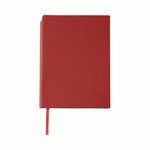 Do you supply lined or plain paper notebooks? 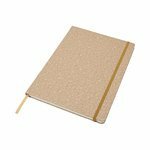 We can do both. 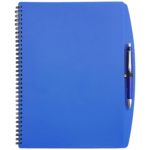 Some clients prefer a lined paper and some a plain paper notebook dependent upon what the usage is. 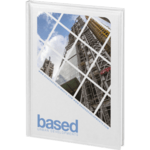 We can also supply graph/boxed paper which can be useful for engineer drawings, sketches and site surveys. 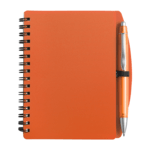 Would you supply a pen with a notebook? 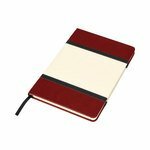 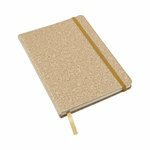 Some of our notebooks are supplied with a pen and the notebook has a pen loop or clip to carry the pen. 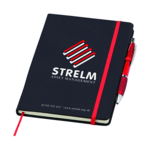 If we do not supply the notebook with a built-in pen then we can supply a matching pen from our promotional pens collection.